Scotiabank | Good Lookin Kids Inc. Scotiabank | Good Lookin Kids Inc.
Scotiabank is a leading multinational financial services provider and Canada’s most international bank. They provide innovative financial products and services to individuals, small and medium-size businesses, corporations and governments across Canada and around the world. 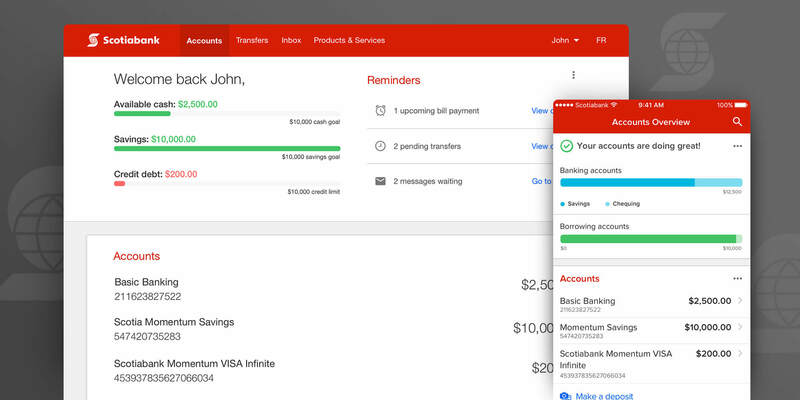 GLK worked with Scotiabank overseeing both UX and graphic design elements. 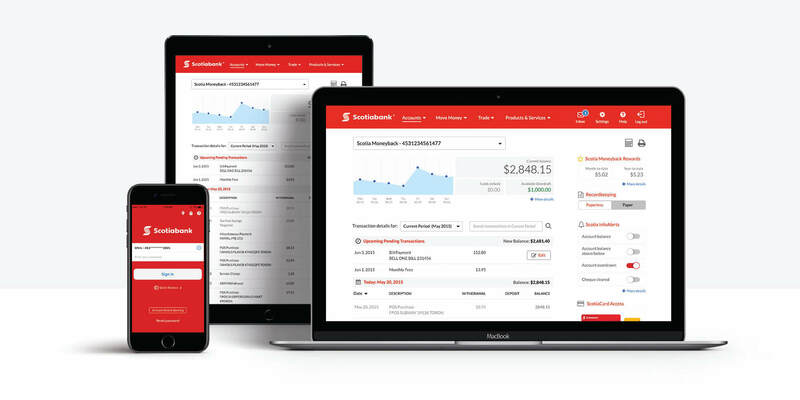 Our Creative Director, Chris has his fingerprints all over the current (and upcoming) designs of Scotiabank’s digital channels, including all current UI foundations for online and mobile banking, as well as the ABM interface design and surrounding hardware/real estate designs and marketing. GLK’s presence within the bank expanded into other departments as well, introducing additional services and team member involvement across multiple internal and external marketing initiatives – including video/animation, printed marketing collateral, and branded wrappers (for ABMs and other branch real estate).